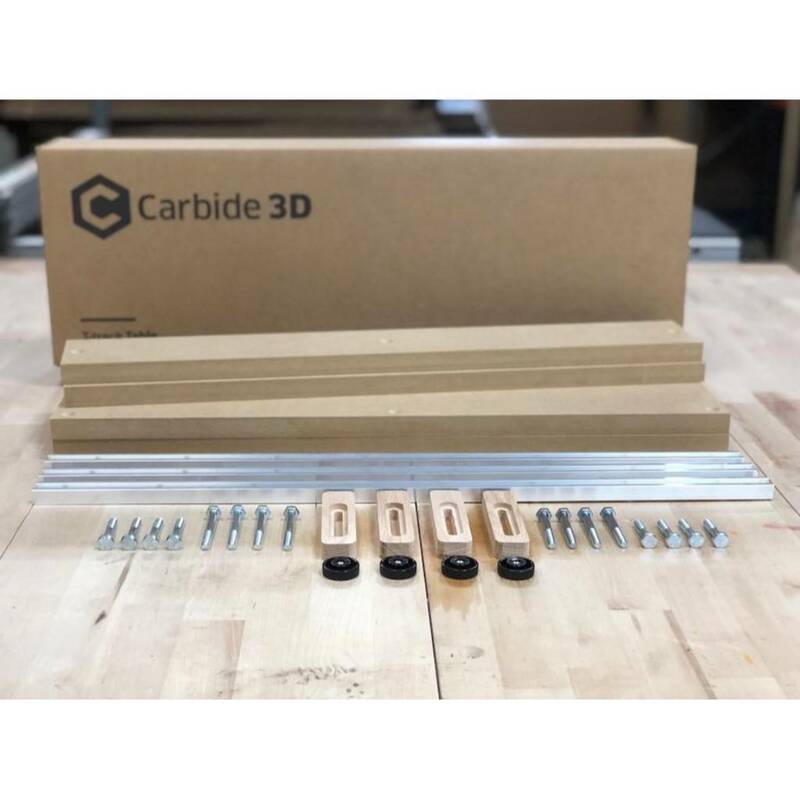 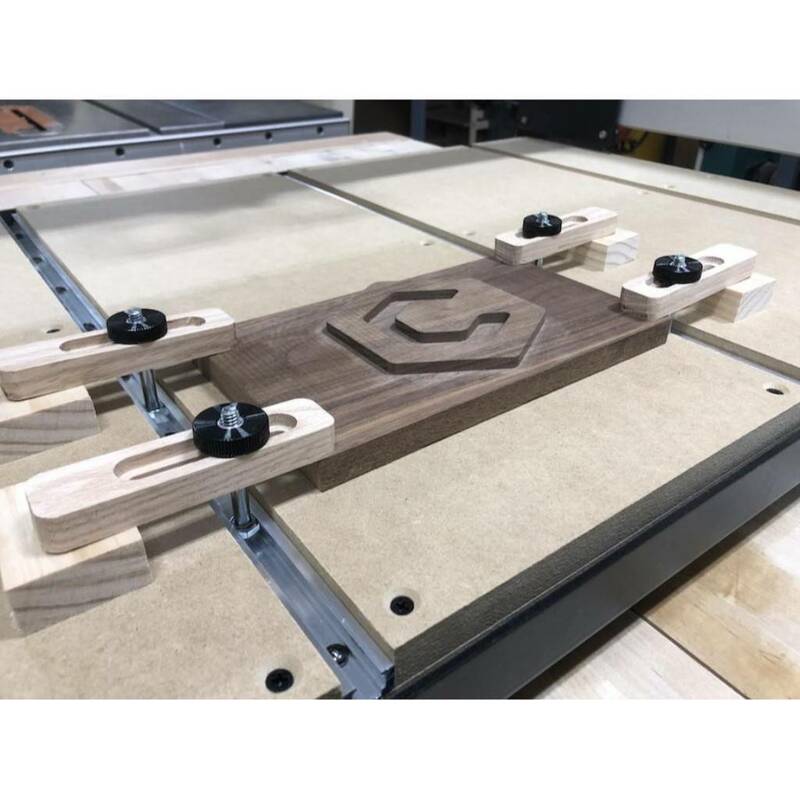 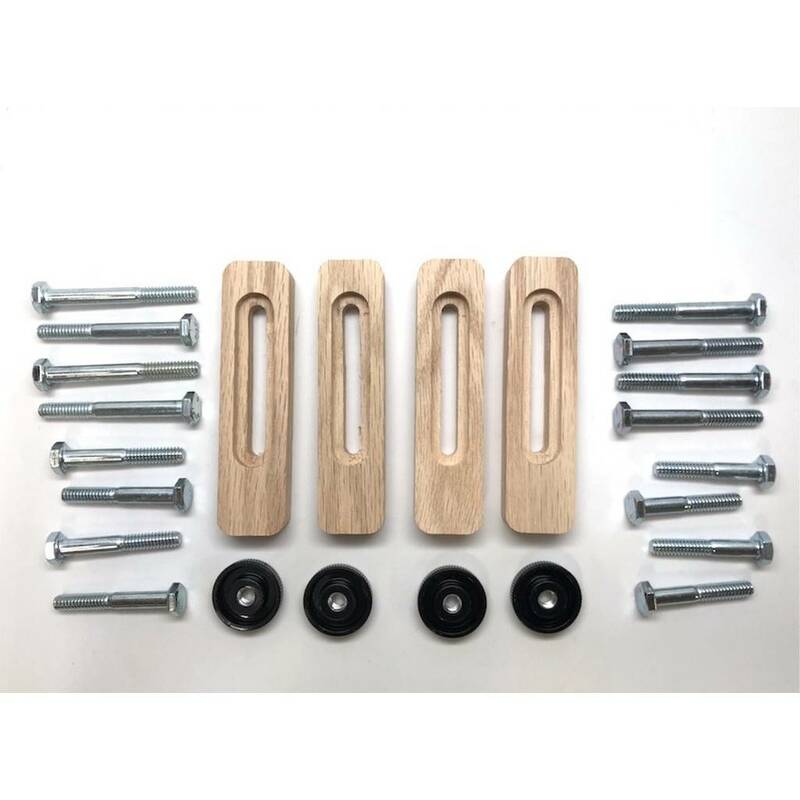 This versatile T-track system provides a flexible and reliable way to hold down material to your Shapeoko CNC Router. 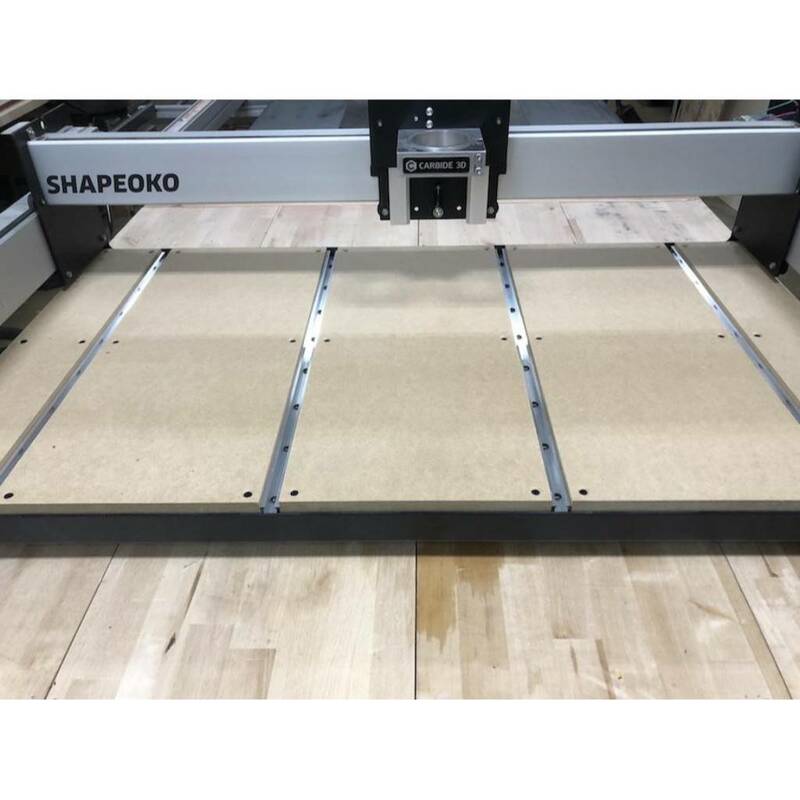 The T-track system sits on top of your Shapeoko wasteboard. 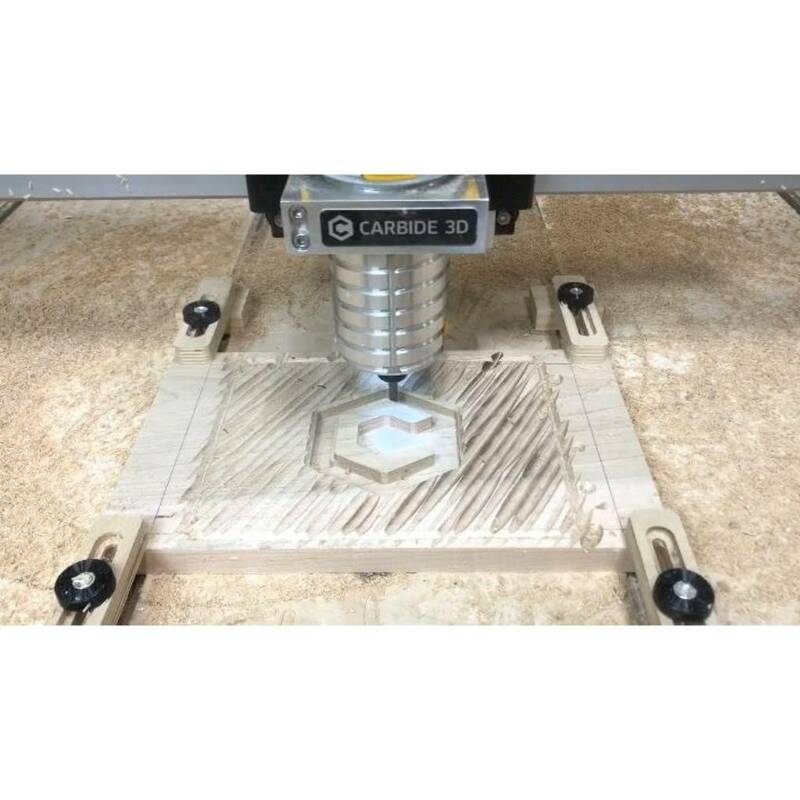 Use the provided wooden clamps and hardware or design your own custom fixtures to hold your work while machining. 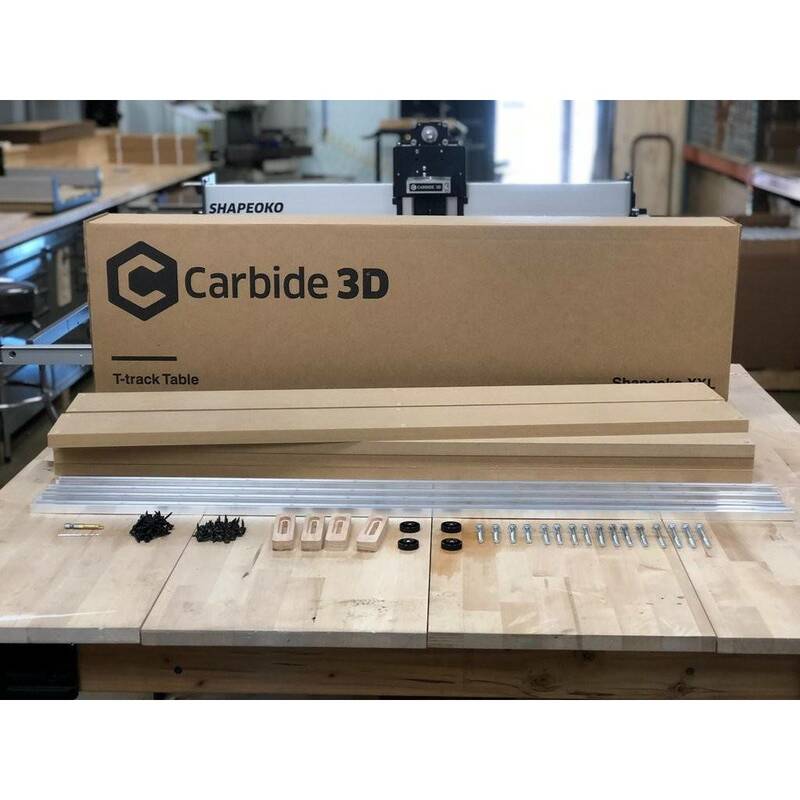 The kit includes everything you need to add this system to your existing or new machine!